If like me you grew up when Top Trumps was the game that everyone played then you'll be pleased to hear that the craze isn't dead. In this age of console games and mobile phone apps it's good to see that some of the old favourites never die. 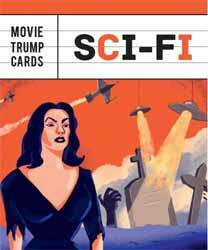 The latest in the Movie Trump Cards series is the Sci-Fi edition. 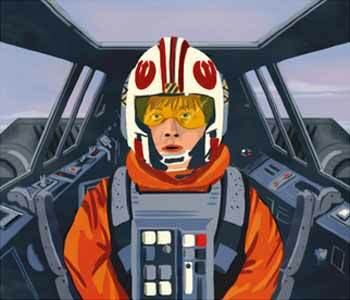 This includes 32 illustrated cards (99 x 65mm) from different sci-fi movies. Each card has an illustrated representation of the move and the categories: Budget; Tech Spec; Future Foresight; Cult Status; Dystopian Index; and Special Effects. It also includes the movie's original release year as well as a little trivia that you should find informative and entertaining. The only almost useless card is Plan 9 From Outer Space - which has the lowest score for every category other than Cult Status. The game is simple to play, with the cards being dealt equally to all players. Using only the top card, the player who starts must pick one of the categories on his card which he thinks is the hardest to beat. Whoever has the highest number in that category wins all all the other players top cards. Then that player chose the next category. The person who is left holding all the cards is the winner. This is the perfect pocket-sized game to take on long journeys to keep everyone occupied.